We serve creative American dishes accompanied by a craft cocktail & coffee bar. Breakfast, lunch, and dinner are served every day with happy hour all day in the bar. Menus are ever-changing and always inspired by the freshest seasonal ingredients. ArtisanвЂ™s Table presents a casual & spacious dining room, along with a comfortable bar & lounge, outdoor dining, and a private wine room. The decor features handmade furniture & art from local artists & artisans. In this sidewalk cafe, you will find the freshest ingredients combined in a meal perfect for the locavore lunch goer. Here, you can enjoy a simple build your own sandwich or a carefully prepared entrпїЅe. No matter what you order, everything is made right on the spot. DexterпїЅs makes it their priority to shop the farmers market for the finest produce at its peak freshness. The cuisine fuses many different culinary styles, so there is always something for everyone. If you should find yourself strolling down the cobblestone streets of the eclectic Thorton Park neighborhood, you wonпїЅt want to miss this farm to table gem! Address: 808 E. Washington St.
Aside from the classic cocktail, a highball is a train conductorвЂ™s signal to depart at full speed. It was how Central FloridaвЂ™s abundant harvests moved from field to table, an iconic symbol of the regionвЂ™s agricultural might. Highball & Harvest (H&H) pays homage to this legacy, with menus laden with ingredients from local farms, as well as our own green-growing efforts. We pluck fresh produce from our on-site 7,000- square-foot garden at Whisper Creek Farm. Handcrafted cocktails are infused with seasonal fruits and herb. Ultimately, our guests will enjoy a farm-to-table southern culinary adventure at one of the best restaurants in Orlando that is as inspiring as it is memorable. This Italian farm to table restaurant provides a major incentive for staying at the lovely Hilton Orlando Bonnet Creek. Chef and Restaurateur Donna Scala, remains passionate about her creations, and only uses the freshest, finest raw ingredients from local purveyors as well as vegetables from the restaurant’s gardens. You will be delighted to find out that the Scalas produce their own olive oil in Napa Valley that they use in the kitchen. The family will be delighted to enjoy hearty pastas and fulfilling pizzas. And you will revel in there Trattoria-style wine program. These freshly sourced Italian favorites will warm your belly and your soul. Address: 14100 Bonnet Creek Resort Ln. Inspired by the gastro pub ideal, Kathleen Blake and her team have opened an American hybrid with an emphasis on local farmers and food purveyors. The proof is on the walls. While you await your meal, take in the beautiful photography that showcases pigs from Jim Wood's Palmetto Creek Pork in Avon Park; plump, rumpled-shouldered hydroponic tomatoes from Melanie Corun and Roger Worst's Waterkist Farm. Try some classically stuffed eggs with olive oil tapenade or a platter of house-cured and smoked meats for dinner. Whether its breakfast lunch or supper, anytime is a great time to enjoy a meal at the Rusty Spoon! 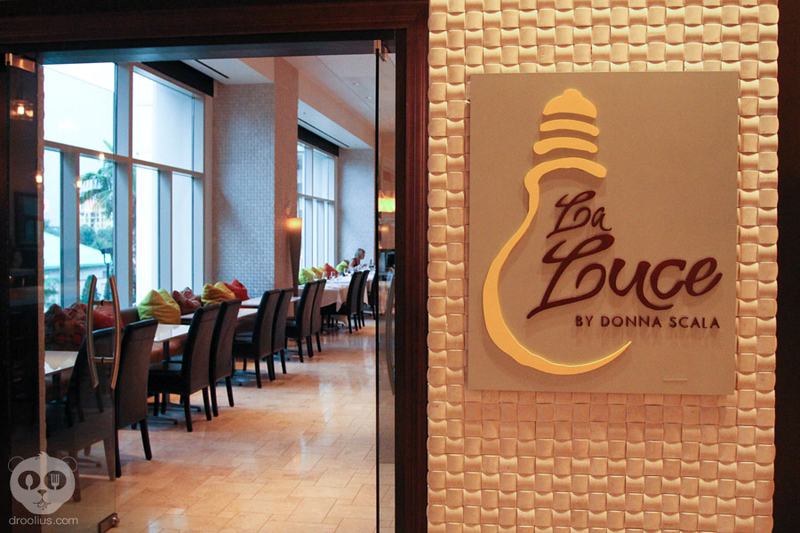 Address: 55 W. Church St.
Our menu features fresh, seasonal ingredients from local farms. We pride ourselves on bringing the neighborhood together with good food & memorable experiences. The Strand makes all of its dishes from scratch, which means that our menu is constantly evolving to reflect what we have available to us and what we believe will taste best for you! A desire to deliver our on-site farm experience to guests brought Whisper Creek Farm: The Kitchen to life. The restaurant features farm-inspired comfort food and craft beers sure to please any palate. Come in and make yourself at home in our Kitchen. Menu items range from flatbreads and small sandwiches to snacks and small plates, all showcasing seasonal produce from the on-site Whisper Creek Farm and local central Florida farmers. Located just off the lobby of the JW Marriott Orlando, Grande Lakes this venue is the ideal spot for sharing multiple delicious items with friends and family or that perfect late night bite.